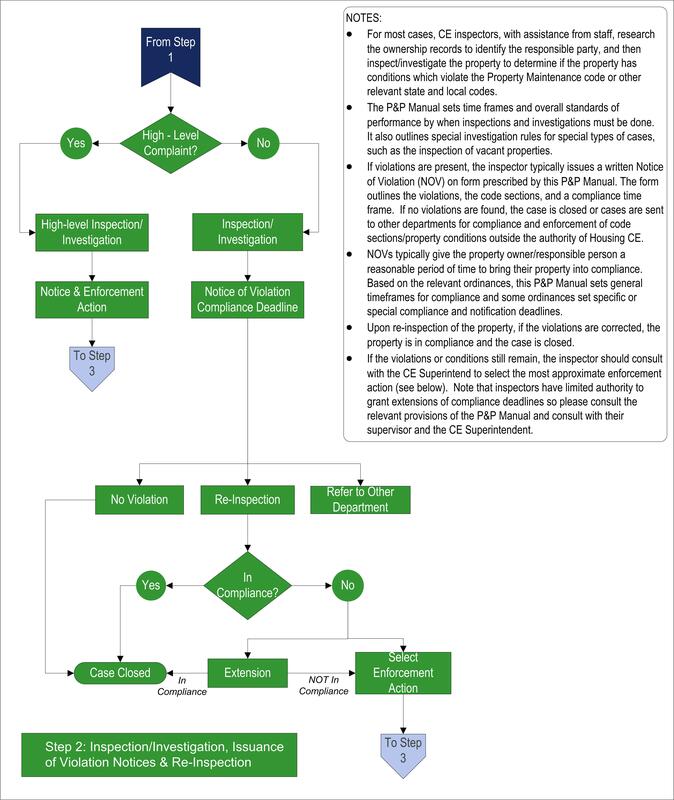 As part of Phase II of the technical assistance program, the team developed the first Code Enforcement (CE) Policies and Procedures Manual (P&P Manual). This manual provides managers and staff with general guidelines for how to administer existing code enforcement programs and take appropriate compliance and enforcement actions with the goal to work more effectively and efficiently. Most of the P&P Manual’s sections offer specific, step-by-step procedures that inspectors and staff should follow when performing their day-to-day duties, functions, and services. 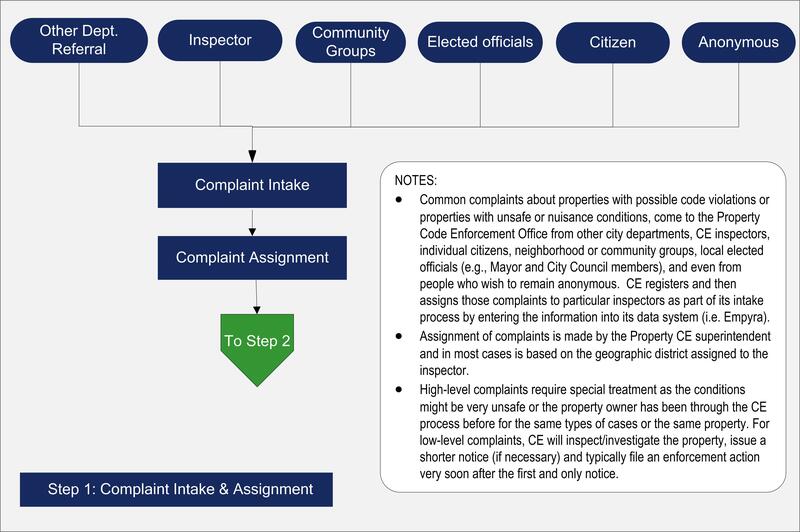 Code enforcement programs always involve a certain level of discretion as managers, inspectors, and staff confront changing conditions and new circumstances. 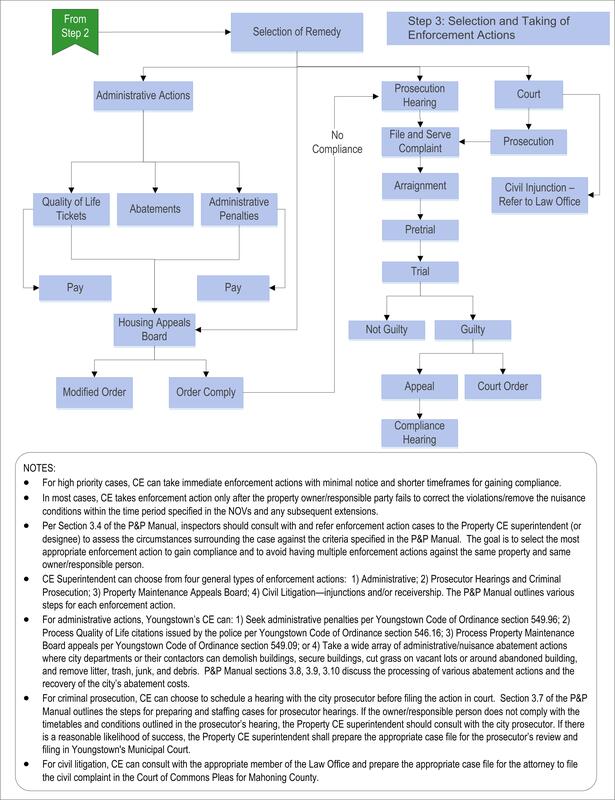 The P&P Manual will help them adapt to new situations, make better individual case decisions—choosing the right course of action, for the right property conditions, at the right time—while also maintaining the overall integrity of the organization and its code enforcement mission—to gain effective and timely compliance that can further the community’s quality of life. The P&P Manual contains four chapters: 1) Complaint Initiation and Intake; 2) Inspection, Investigations, and Case Management; 3) Enforcement Actions and Procedures, and 4) Internal Operations. 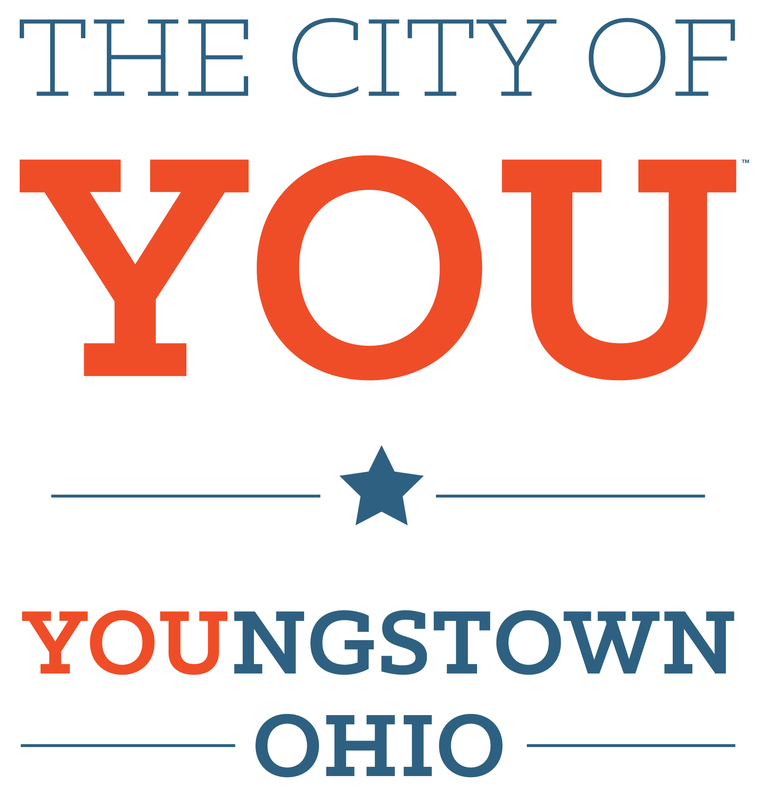 Each chapter contains individual sections that correspond to different tasks, actions, roles and responsibilities that inspectors, staff, and managers undertake as part of the City of Youngstown’s property and housing code enforcement program. 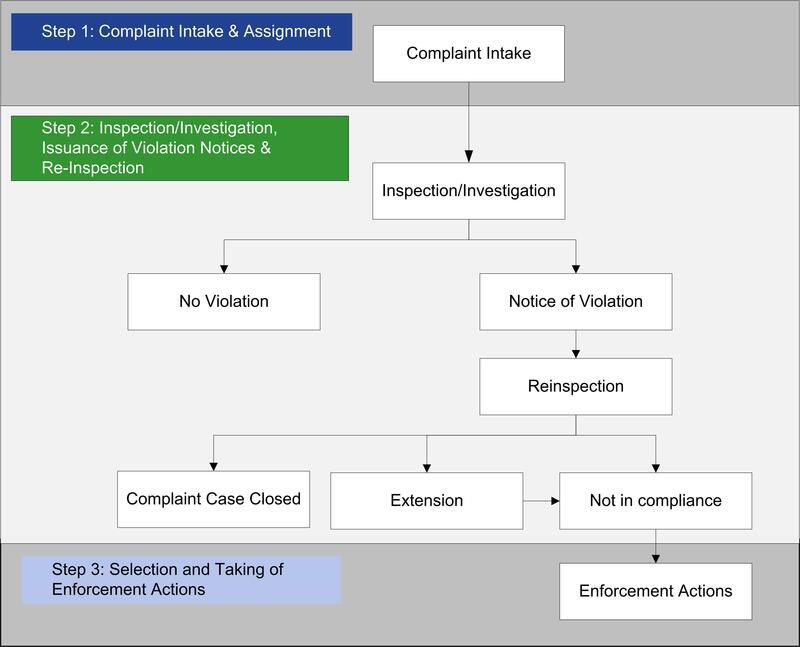 Think of these sections as step-by-step recipes that govern and guide the large majority of code enforcement actions and activities.